A new event Back With Mods, Scooter & Ska Fest hosted in conjunction with Misdemeanours SC, will have all the traditional aspects of a scooter rally plus a lot more – all in a mainland central venue – Santa Pod Raceway in Northants. Camping on site is included in the ticket price of £35 in advance or £45 Gate. There’s a Scooter Show & Shine – free to enter with judging and marshalling by our friends from Area 51 SC and Trojan Horses SC. Doughboys SC lead the 8 mile ride out starting off from the drag strip to Grendon Lakes Club House. Over the weekend take your own scooter down the track, £25 for unlimited runs – bring you driving licence. 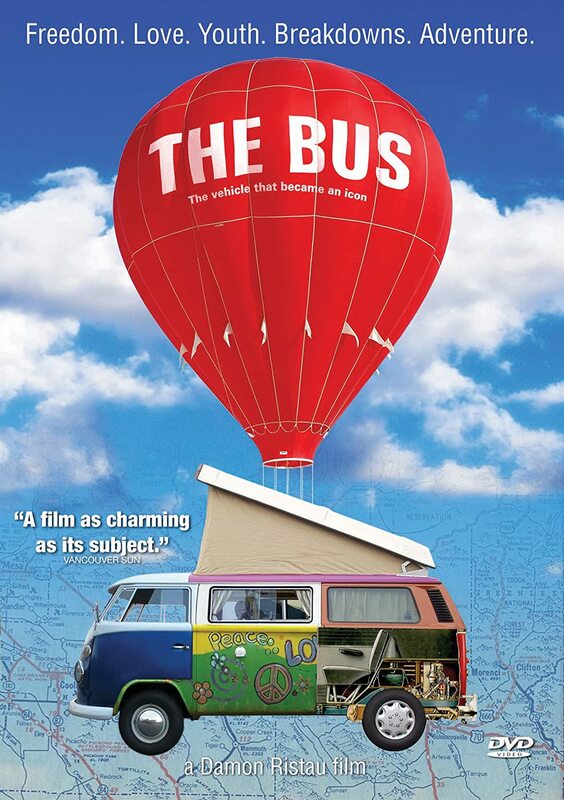 Do you own any type of Transporter or air-cooled VW and fancy a trip to the beach this summer? Then this must-do event is for you! Join us at our overnight camp at Guildford on the Saturday night (June 22)and you’ll wake on Sunday morning to the smell of free bacon butties. You will then take your place in the line-up for the cruise to Bournemouth. On arrival you’ll be directed to your parking place on the seafront with your front wheels almost kissing the sand. Music and children’s entertainment will be supplied for your enjoyment, so why not take in the sun, visit the town and have a picnic on the beach, relax and chill. Just pay one price for your VW and all occupant’s go free. A proportion of the run fee will go to our nominated charity, Brad’s Cancer Foundation so you’ll be doing something worthwhile whilst having fun. • Free entertainment on Bournemouth Seafront. • Reserved parking space within show. 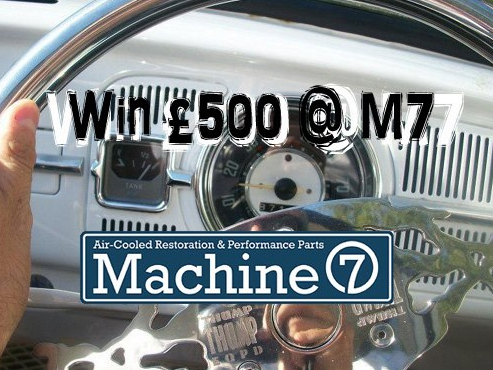 Would you like £500 of parts from Machine7, totally free? Machine7 are running a competition with a difference. Send them a groovy picture of your dashboard to [email protected] The pic needs to be taken from the drivers perspective like this one below. It can be any Aircooled Vdub, whatever you own. So, send them a picture, and like and share their Facebook post. If you do all three, they will pick a favourite, and give the winner £500 to spend at Machine7 on VW parts, classic or custom, it’s up to you. Oh, by the way, they’ll also post up all the pictures in one mad day of #LoveMyDash on the Machine7 Facebook page. So, get artistic, get the camera out, and get snapping. Doesn’t matter whether youv’e got a show car or a shitter, it could still win. Big Bang is nearly here and with the track looking better than ever as well as a great line up of live music, show and shine, RWYB and more it is set to be an amazing weekend. Big Bang VW festival in conjunction with Volksworld Camper and Bus magazine is the first and friendliest VW festival on the calendar. Despite high-octane racing and two music arenas, the festival remains as laid-back and family friendly as ever. All Vee Dubs welcome! Three days of VW themed fun with great racing, music and entertainment at the home of European Drag Racing! All Beetles and buses, campers and Caddies, Golfs and Ghias are welcome at the show to enjoy the Run What Ya Brung (New for 2013 RWYB open to all VAG vehicles), Show & Shine, Drag Racing or simply filling the camp sites with VWs and chilling out. Get your discounted tickets by 5:00pm on Friday April 19th, print them at home and save £s! Call the Box Office direct on (01234) 782828 or Book Online via the Santa Pod Ticket Shop. Tickets bought after Friday 19th will be at the standard price with the “print at home” option only. The Crew at Cool Flo Vintage are offering a special 10% discount for VZi members on any online purchase of £10.00 or more (exc. P&P). Check out the ranges of VW and BMX inspired tees, quality hoodies and essentials like The Bus DVD and trucker-style caps on www.coolflovintage.com. To claim your discount, all you need to do is enter VZi10 into the ‘Apply Coupon’ box on the Cart/Checkout page.